YOU ARE IN CHARGE OF FEEDING YOUR FAMILY... BUT, YOU DON'T NEED TO DO IT ALONE. WHAT IF YOU OPENED YOUR FRIDGE AND HAD EXACTLY WHAT YOU NEEDED TO QUICKLY FEED YOU AND YOUR FAMILY DELICIOUS FAMILY-FRIENDLY MEALS?
. . . no more "What's for dinner?"
. 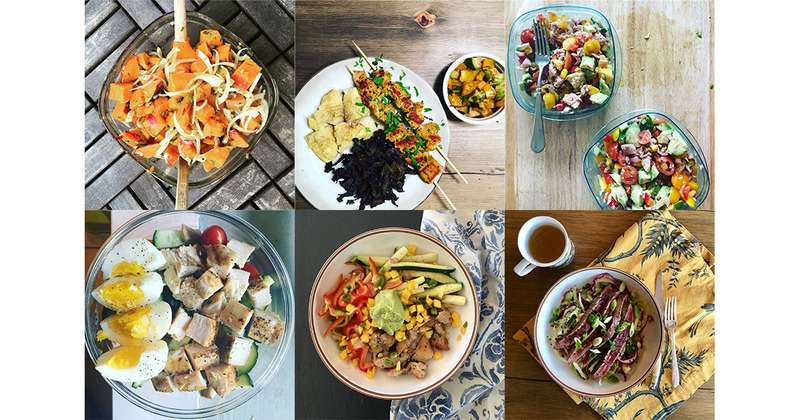 . . no more buying lunch at the office, again.
. . . no more food that goes bad because you're not sure when to cook with it.
. . . no more stress around whether your family is getting enough of the good foods. Instead you will. . .
Be able to focus on the joy that can happen around the table, not the food. Have yummy whole nutrient dense food at your fingertips. AND, gain energy while reducing stress so you can live your best life. Have been stuck serving the same 6 meals with little or no variety, but don't have the capacity to meal plan. Want to improve how you and your family eats, but are not sure what specific steps to take to make that happen. Wonder how you can stop feeling overwhelmed about food. Are scared about the time commitment making a change might take. We totally get it. . .
After having the same conversation with other parents over-and-over again about food and feeding our families, we realized that there was an opportunity to help a lot of families reduce stress, gain time and consistently enjoy delicious whole foods. The answer?. 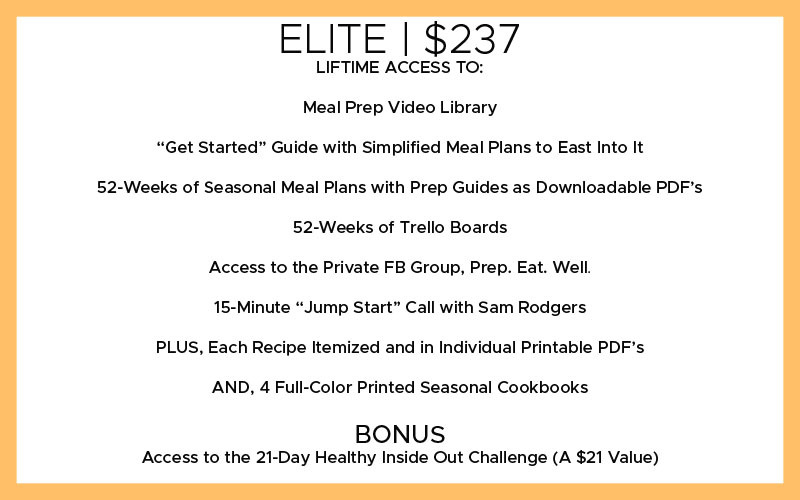 . . 52-Weeks of Meal Plans with Prep Guides featuring done-for-you grocery lists, easy-to-follow prep day guides and simple steps to finish and serve family-friendly meals quickly. Let's face it, we, as a culture, have forgotten how to cook with fresh whole ingredients. We are bombarded with "healthy" fast foods, pre-made meals and a lot of mis-information when it comes to eating. Our lives have become over-scheduled with so much pressure to "do it all" that many of us are so stressed that we end up eating fast foods that don't support a healthy mind, body or soul. Are you ready to join the more than 750 families that have used our program? So, you might be wondering. .
HOW MANY HOURS PER WEEK DOES IT TAKE? AND, DO THE RECIPES TASTE GOOD? Each week, you have 3 seasonal menus to choose from. Use the itemized grocery list to shop your pantry and your market for all the ingredients. Spend 1-2 hours once a week following the step-by-step Prep Day Guide. There are about 300 seasonal rotating recipes in this program!